Since 1990, Alzheimer’s and other neurological diseases have been rising rapidly all over the world, as has environmental pollution. The same holds true for respiratory diseases, according to the WHO (World Health Organization). Fracking, vehicular emissions, coal-fueled electric energy plants, and others are all contributors to environmental pollution. However, there’s one air polluter that’s more ubiquitous than all the above put together. It appears high above our atmosphere in the stratosphere. It’s very noticeable to the naked eye from the ground but hardly recognized for what it is by most and denied as anything unusual by most government sources. It’s the deliberate spraying of chemicals into our atmosphere by aircraft to create artificial clouds designed by scientists in the field of geoengineering. The creation of these artificial clouds are known by several terms: aerial spraying, aerosol spraying, solar radiation management, or stratospheric aerosol injection. The actual clouds that appear in the sky are called chemtrails or persistent contrails. Denied as a “conspiracy theory” by most in the corporate-sponsored “mainstream” media, the fact that chemicals are being sprayed into our atmosphere as part of the science of “geoengineering” is a fact that is well documented. Today, some holistic physicians who truly study health beyond what they are taught in medical school, are recognizing the severe health implications of this aerial spraying as they link chemicals in our atmosphere to neurological diseases, respiratory illnesses, and other auto-immune diseases. 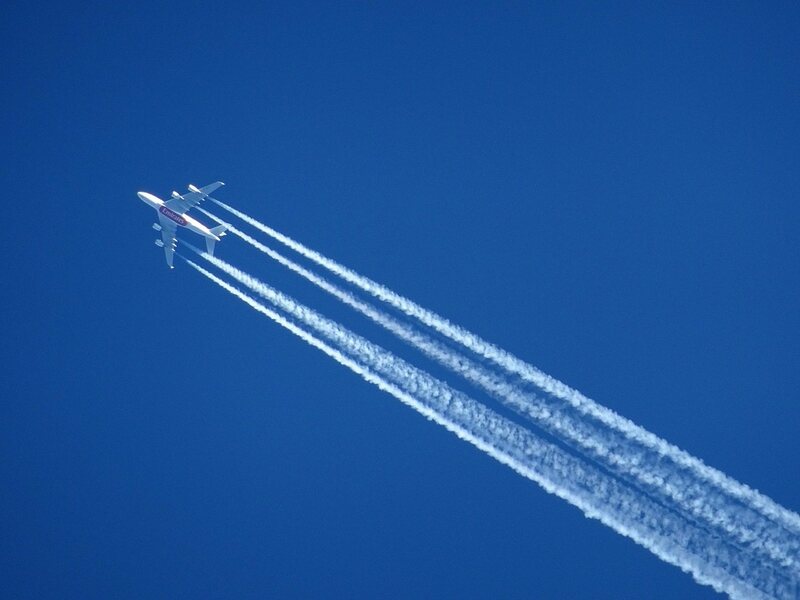 Gradually, more health and science experts are recognizing that these trails from high-flying aircraft are not simply harmless contrails, engine exhaust vapors that condense in colder air and dissipate rapidly. They are recognizing that these persistent trails are not incidental to aircraft engine exhaust. They are seeing them as chemicals being deliberately sprayed throughout most of the world. These trails, observed, photographed, and video-taped by curious sky watchers all over the world since circa 1990, do not dissipate. Often appearing in crisscrossing groups, they linger for hours and stretch from one horizon to the other, widening to form a hazy cloud cover containing nanoparticles of heavy metals, mostly aluminum, barium, and strontium, as well as other toxic particulates. Those who are aware of these patterns and question them are mostly ridiculed. A few observers are given explanations from lower level officials claiming that what they’re seeing is either a military radar-blocking chaff screen exercise or weather modification spraying harmless metal particulates to reflect away sunlight and curb global warming. Whatever the actual purpose, the spraying is mostly a program that geoengineering scientists talk about implementing while denying they already fully exist, or to what extent they exist. They do exist, however, and independent scientists and medical experts are very concerned. The following short video by Kimberly Carter Gamble has a few clips of geoengineering aerial spraying interspersed with an excellent commentary regarding these dangerous chemicals being sprayed into our atmosphere. In addition to blocking life-supporting sunlight, as artificial clouds form, the particulates don’t stay in the stratosphere at around 35 to 40 thousand feet where the geoengineering planes are flying. They drift down to earth level atmospheres and contaminate vegetation, crops, and animal and human lungs. The high altitude sprayed aerosol toxic metals, mostly aluminum, barium, and strontium, have been discovered in air and water traps all over the world after periods of intense spraying from more than one high-flying aircraft. A group studying geoenginnering near northern California’s Mt. Shasta has observed rising amounts of aluminum, barium, and strontium in the mountain’s snow covers. The whole county of Shasta is heavily wooded and mountainous and lightly populated. It has no heavy industry that would spew these toxic metals onto the top of one of California’s highest mountain. These metals are all highly toxic metals for animal and plant life. Some argue that aluminum is already in the ground, and it is the most prevalent metal and third most prevalent element in the earth’s crust. Yet, they fail to mention that aluminum is bound with other elements. The aluminum used for manufacturing or vaccines is not bound. In this form it’s toxic. Learn more about aluminum’s toxicity. The following video is an edited montage of some of the testimonies on aircraft aerosol geoengineering given by experienced health practitioners, scientists, and a lawyer, who share what they know at a late 2014 Shasta County (California) council hearing that ran close to three hours. The upraised arms waiving hands or fingers was intended to replace cheering and clapping on points agreed on by audience members to save time and move on with the meeting, which still took almost three hours to finish. 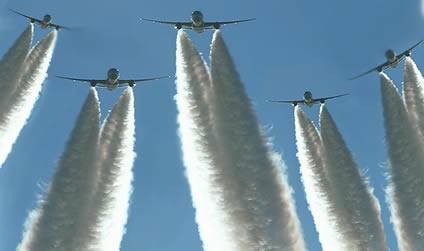 For more on sky-borne nano-aluminum particulates, scroll down to this earlier Health Impact News article to the section titled “Nano-Aluminum: The Biggest Nano-Technology Problem.” It’s just under a photo of five aircraft with large plumes trailing, read on from there. You can access it here. The GeoEngineering Watch website also has much information, especially for those just learning about this topic. Find them here. Dr. Russell Blaylock is a retired neurosurgeon and professor of medicine who also served as an editor with the Journal of American Physicians and Surgeons and the Journal of the American Nutraceutical Association. He is also the author of Excitotoxins: The Taste that Kills, Vaccines and Brain Development and other books as well as a lecturer who appears on several YouTube videos. The internet is littered with stories of “chemtrails” and geoengineering to combat “global warming” and until recently I took these stories with a grain of salt. … I rarely saw what they were describing in the skies. Then, over the past several years, [prior to 2012] I have noticed a great number of these trails. … They are extensive, quite broad, are laid in a definite pattern, and slowly evolve into artificial clouds. … now so many dozens every day are littering the skies. Of special concern is the effect of these nanoparticles on the brain and spinal cord, since a growing list of neurodegenerative diseases, including Alzheimer’s, dementia, Parkinson’s disease, and Lou Gehrig’s disease (ALS) are all strongly related to exposure to environmental aluminum. Nanoparticles of aluminum are not only infinitely more inflammatory, they also easily penetrate the brain by a number of routes, including the blood and olfactory nerves [in the nose]. Studies have shown that these particles pass along the olfactory neural tracts, which connect directly to the area of the brain that is not only most affected by Alzheimer’s disease, but also the earliest affected in the course of the disease. It also has the highest level of brain aluminum in Alzheimer’s cases. The intranasal route of exposure makes spraying massive amounts of nano-aluminum into the skies especially hazardous, since it will be inhaled by people of all ages, including babies and small children, for many hours. We know that older people have the greatest adverse reaction to this airborne aluminum. It’s unlikely that aerosol geoengineering is going to be pushed back soon. That Shasta County council meeting was late 2014. If the tape of that meeting had been sent as promised, one would think there would be some sort of repercussion or leak into mainstream media. Yet, here we are in 2018… what has changed? As we reported back in 2015, global climate change is seen as a huge opportunity to make money through geoengineering, and world governments are rushing forward to capitalize. So, what is one to do with this doomsday scenario? Bolster your immune system by avoiding processed foods and sugar. Drink only purified water, and stay away from pharmaceuticals containing fluoride, which combines with aluminum to make it more toxic. Also, avoid painkillers and “fever reducers” containing acetaminophen. When you go outdoors, you can protect yourself with scarves and mufflers that contain activated charcoal filters, such as those available here. Drive with everything closed and recycle the vehicle’s interior air to avoid taking in particulates after heavy spraying. Bolster your immune system with supplements, especially vitamin D3 cholecalciferol from sheep lanolin or fish oils. Avoid fluoride in drinking water and avoid pharmaceutical drugs. Unusual muscle weakness with heart palpitations after heavy spraying could indicate barium toxicity, which diminishes your potassium levels. Increase your potassium level by supplementing it. When aluminum ions and magnesium ions combine, they clot the blood. A good blood thinner is ginger root – taken as a tea or as capsules – and also ginkgo biloba. However, those shouldn’t be used if you’re already taking a blood thinning medication/pharmaceutical, to avoid bleeding internally or profusely from cuts. Chlorella is actually a single-celled food that can be used on a daily basis to help detox toxic metals constantly. Other food sources of aluminum binding silica, which may not penetrate the blood-brain barrier, are tinctures of the horsetail herb and cucumbers (organic). Food grade diatomaceous earth is also high in silica and can be used internally for intense heavy metal detoxing as needed. Food grade activated charcoal can also be used. Usually, a two week period of consuming them twice daily will help considerably. Some prefer to use food grade bentonite clay. Bentonite clay can be consumed when mixed with pure water or used for a bath to soak the body completely.